As youknow, the Indus valley civilizations is known for it's amazing and grand discoveries. I am going to list two of the most important inventions and a very important discovery that the Indus Valley civilization made! Now, you may not believe this but... 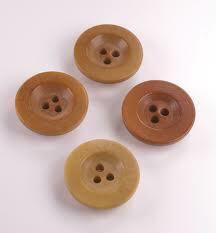 The Indus valley civilization invented buttons! They made buttons using shells. As the Indus people loved accessories, the buttons were worn as an ornament instead of an actual function on our shirts as they are used today. The first button was made in 2000 BC. The earliest button found was found in Mohenjodaro in a hole. They were described as curved (because they were made from seashells) they were also very hard, and cool to the touch despite being in a hole for over thousands of years. Can you imagine, how amazing it is that something so small which was invented over thousands and thousands of years ago are on our shirts now? Now, the next amazing invention is something that thousands of people all over the world still use today. A ruler! This ruler was found over 3000 years ago in Pakistan. They were found in 2650 BC. They were made from ivory, and less than two inches long. People in Pakistan, and a few parts in Western India, used their version of a 'ruler' It was discovered that the indus valley people used their ruler to measure out land. They measured from 0.05 mm to 5 inches. All their measurements were surprisingly and shockingly completely correct! It was a wonder how they made their system, and how they measured everything so accurately! But then again, you should never underestimate the Indus valley Civilization! 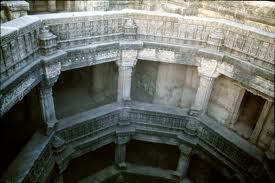 The Indus Valley civilization discovered the Stepwell, which was in Mohenjodaro, next to the great bath. It was an amazing discovery and it is still a wonder to this day who exactly built the stepwell because it was the Indus people who discovered the Stepwell, but still no one knows who built it. There's not so much information about the Stepwell, but it is still quite an interesting discovery.